Sometimes conditions on the fell-tops are not what you expect when you leave home. 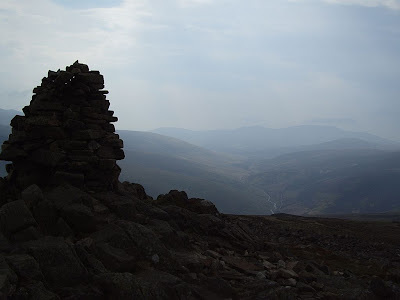 Yesterday, having no desire to watch the big event in London, I decided to have a big event of my own, namely to activate two of the Northern Fells for Wainwrights On The Air (WOTA). Although the weather was a little hazy there had been several sunny days and I anticipated two leisurely activations lazing in the grass and basking in the sun beside my guyed WOTA Pole, perhaps even some DX due to atmospheric conditions. I did notice a chilly breeze as I went out to the car, so I went back and got an extra fleece. That turned out to be a good move. It was about 45 minutes drive to the parking spot at Caldbeck Common. 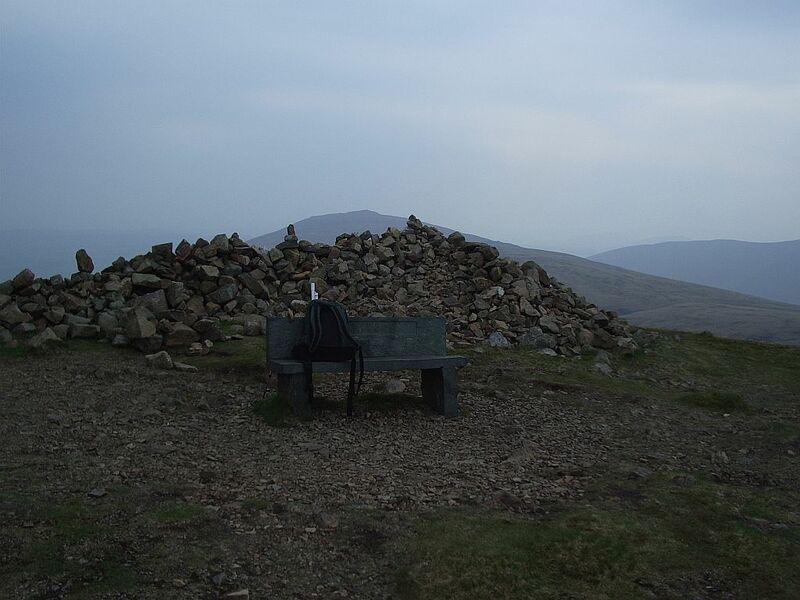 I set off on a circuitous but easy climb up to High Pike, the first summit, working Jimmy on Blencathra who was using a special Wedding call MR3EYP/P on the way. No getting away completely from thoughts of the big event in London. Half way up I noticed the wind was getting stronger and chillier. The extra fleece was quickly donned, and I worked another activator with a Royal call, MR1EYO/P on Red Screes. By the time I reached the summit I felt conditions were such that I didn't want to stay long up there. After a contact with Bill G4WSB/P on Grasmoor whose voice was at times unintelligible due to wind getting into the mic of his Quansheng, I walked down from the summit in search of a slightly less windy spot to eat my packed lunch. Whilst eating my lunch I weakly heard Derek 2E0MIX/P on Maiden Moor but I didn't dare nip up to the top to make a contact in case my rucksack and other things blew away. When I did return to the summit I found the wind was blowing icy rain into my face. I didn't have any enthusiasm for putting the WOTA Pole up as I didn't intend staying there long enough for the effort to be worthwhile. I also didn't want to get the non-waterproof Kenwood TH-D72 - which I'd taken after realizing the limitations of the receiver of the VX-8R - wet. So I sat on the stone bench near the wind break on the summit and using the 8in. helical rubber duck rapidly worked 7 of the 'usual suspects', contest-style, then stuffed the Kenwood in the rucksack and set off on my way to the next summit. Carrock Fell is is a rocky summit with a big cairn, overlooking a valley. By the time I got there the rain had stopped and the wind had dropped a bit and seemed less cold. There were numerous large rocks scattered about making inviting seats. I decided to put up the WOTA Pole. First, I had a fight untangling the guys, which had knotted themselves together. Then, while pulling up the antenna using the third guy, doing my trick of using my walking stick as a bottom section for extra height, there was a crack and the antenna fell back on the ground. The jointing piece between the lower two sections of plastic tube had cracked. Arrgh! So I was forced once again to do the activation using the 8in. helical rubber duck. However one piece of equipment favourably surprised me. Well, two, really. I began to get used to the Kenwood TH-D72 and felt that perhaps it is a viable alternative to the VX-8GR to use on activations. I received several APRS messages while I was up in the hills and found it easy to read and reply to them. Before I set off I used ?APRSO to load APRS objects for the two summits into the radio which I used to help navigation and check proximity. Very useful, though having to page forward a couple of times is less convenient than the VX-8's all in one view. I'm still not convinced that the Kenwood's snazzy metallic grey paint and plasticky casing isn't going to start showing marks from the rough and tumble of use up in the mountains. And the radio does sometimes do things I don't understand, like beep and do nothing when I press the PTT, or beep and mute the audio of the station I'm listening to until I press the PTT again. I think this may be something to do with the APRS functions but it confuses me. The battery endurance doesn't seem to be as good as the Yaesu either. But I'm learning to love it. 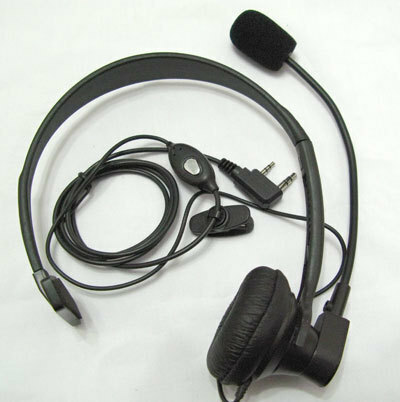 This was also the first time I could try out a headset for the Kenwood that I'd bought for £3.99 on eBay. The price, which included shipping from Hong Kong, was so low I doubted that it could be any good. But it was also cheap enough to be worth a gamble. It turned out to be the ideal accessory for operating from windy hilltops. The microphone has a foam muffler and even with my head turned so that wind was blowing on to the mic stations reported that there was only very slight wind noise, not enough to interfere with copy. With my head turned away there was no wind noise at all. Experienced activators will know just how hard it is, when it is windy, to find a position that keeps the wind out of the mic on the front of the radio. Despite the unexpectedly nasty weather I had a nice walk and two successful activations. I may have one last try with the WOTA Pole. I will superglue the cracked jointing piece and then try reinforcing them with nylon cable ties. If that doesn't help then I must give up the idea or accept that it will only work with longer tubes and only one joining section. Just a quicky about using superglue. Its not really up for the job as its very brittle and could be difficult to do a good job with it. You can get PVC cement for these joints (assuming its PVC of course) but its not going to be as strong as a complete piece. B&Q is a good bet.